PSI’s ProStack 3 Pocket modular bottled water rack system offers 360 degrees of bottle enclosure, which dramatically reduces leaking bottles. Our ProStack bottled water rack has unmatched durability you won’t find anywhere else. Our 3 or 5-gallon water bottle rack offers a number of advantages over metal units, including lowering maintenance expenses and a reduced risk of damage to truck bays and trailers. Our ProStack Modular Racks are built to work with our Double Leg Ratchet Pallet. (DLR) Our Double Leg design provides twice the protection from forklift damage than old technology single leg pallets, thus significantly reducing costs, while ensuring maximum production efficiency and safety. Each Unit: 38 lbs., pallet base -38 lbs. (5 units and pallet) – 228lbs. 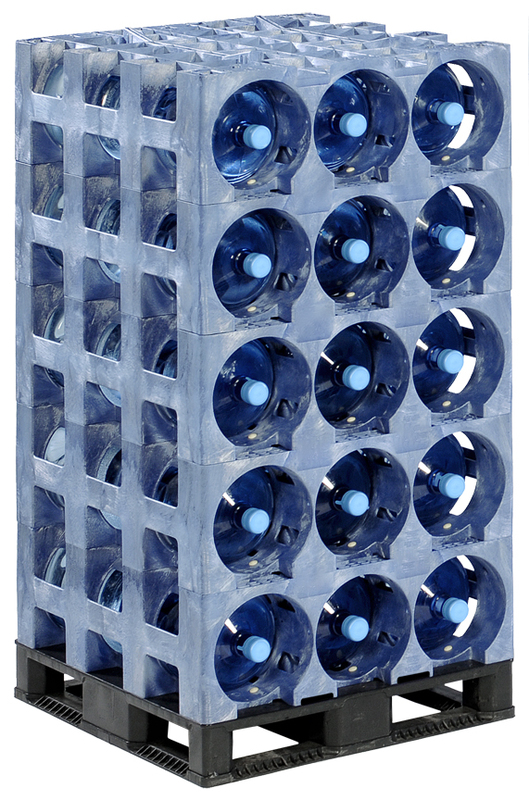 Durability: ProStack 3-Pocket bottled water storage racks are made from high-density, UV-stable polyethylene. Their patented one-piece injection molded design offers exceptional strength and durability, while keeping overall weight low. Like all our products, they are built to last and backed by a comprehensive warranty covering workmanship and material defects. Flexibility: The ProStack 3-Pocket can hold as many as six 5-gallon bottles, or nine 3-gallon bottles. Stack them up to 15 layers high to save on floor space and reduce your freight expenses. ProStack racks feature built-in forklift layer slots and are four-way pallet jack compatible, making them easy to integrate into your existing material-handling protocol. 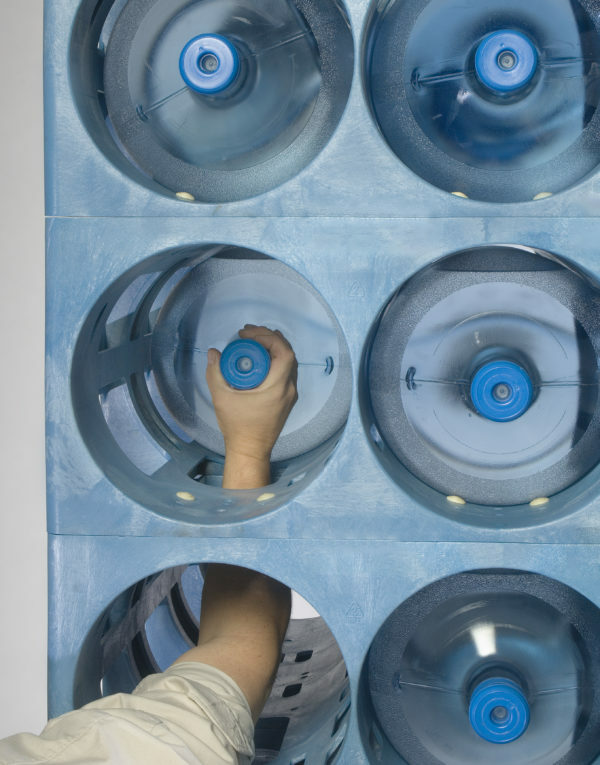 Accessibility: The unique design of the ProStack stackable bottled water rack includes a reach-through feature that makes loading and unloading individual bottles fast and easy. Complete 360-degree protection ensures this doesn’t come at the expense of security, either – when your team can move bottles faster without risking leaks or other damage, that translates to a better bottom line for your organization. Simplicity: Virtually maintenance-free, ProStack 3-Pocket modular bottled water storage racks are exceptionally easy to use. 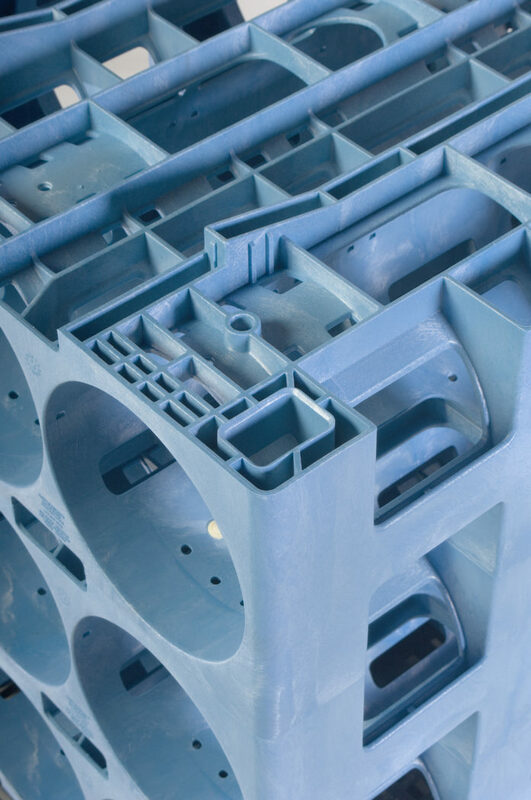 We’ve included a number of features that take the risk out of transport, including the double-leg design of our pallets, which offers twice as much protection against forklift damage as conventional systems. This not only saves you money and time, it also makes your operation safer for all concerned. Sustainability: ProStack racks are intended to be used over and over again. Tough enough to withstand the rigors of road or marine transport, their long life makes them a sustainable choice in bottled water storage. Best of all, PSI will buy back units at the end of their service life and recycle their raw materials for use in other products. In short, when you choose ProStack, you are choosing a product that will significantly reduce your overall costs while providing superior protection against leaks, product loss and damage to your equipment and systems. Find more information about ProStack 3 Pocket Modular Racks by downloading our sales brochure on this page or by starting a Live Chat, or contact our office directly by phone or email.